Four years before he died, Paul Schatz ﬁnally established OLOID AG. This company was to study and apply the many possibilities of Oloid technology. To enable this, Paul Schatz developed some new patents (CH Patent No. 500000) and prototypes but did not live to see the economic success they would bring. These were the very developments that showed how far into the future his inventions would reach, not least because the technical requirements proved an additional challenge compared to the Turbula. Thus, Paul Schatz remained largely isolated, although he had become known for some of his objects and inventions in both Switzerland and Germany, and his merits did not ﬁnd their just acclaim. The actual discovery of Paul Schatz and the signiﬁcance of his ingenious works and suggestions are still outstanding. was founded in Dornach, near Basel. At the beginning of 2000, all rights of the association were transferred to the Paul Schatz Stiftung (Paul Schatz Foundation). For our German friends and interested parties, and for the activities within Germany, the ‘‘Deutsche Paul Schatz Gesellschaft’’ (German Paul Schatz Society) domiciled in Göppingen was established in 1991. It makes every effort to support the Swiss foundation and helps realize projects in Germany. The German society enjoys the status of a public charity and in Switzerland, donations to the Foundation may also be deducted from taxes. 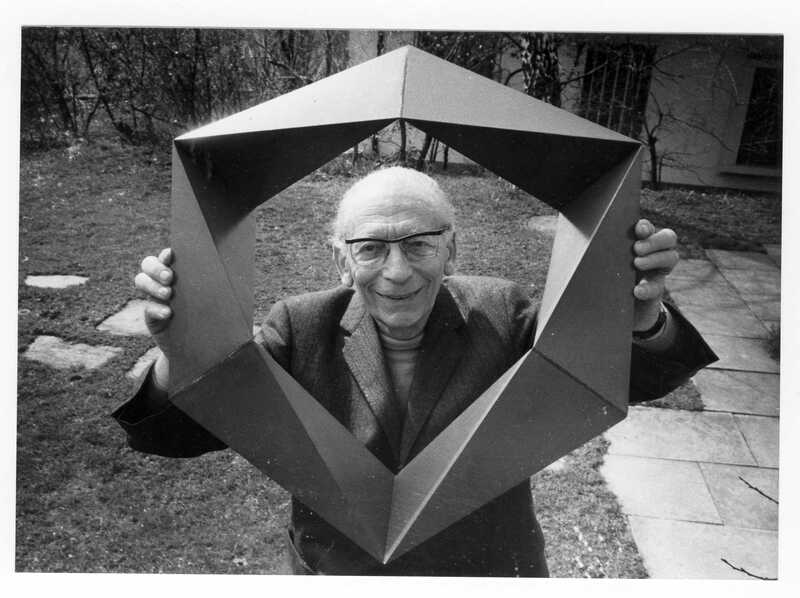 Paul Schatz left a lot of discoveries, inventions, and manuscripts that comprise interesting and important impulses for mathematics, geometry, and architecture. His contributions to mechanical engineer-ing enable the construction of plants and facilities of utmost interest to agriculture, water treatment, and power generation. These apparatuses and inventions may also be used for pharmaceutical processes and offer new vistas and prospects of industrial fabrication. Besides, his mathematical discoveries have a high pedagogical value, too. The foremost and central task of the Foundation is the conservation of the archive. The respective manuscripts, diaries, letters, drawings, and models as well as machines (prototypes) have to be protected against decay and preserved. The writings in the estate have to be put in order, organized and made accessible to the public. From Paul Schatz’s period as a sculptor, there also is a highly varied curve composed of sculptures and woodcuts to be put in order and safeguarded. His work can be conveyed to an interested public by way of conventions, exhibitions, and publications. The geometrical models, too, are to remain or to be made available to interested parties with the help of professional contractual partners. In addition, a co-operation with other foundations and societies is to be sought. Researchers and institutions that study the oeuvre of Paul Schatz or its continued development may have their say at conventions or in writings published by the Foundation. The Foundation owns exhibits that depict the curve of Paul Schatz and encourage beholders to actively participate. It is the task of the Foundation to put these objects at the disposal of museums, schools, and other institutions. These exhibits comprise, in addition to the discoveries made by Paul Schatz, the Platonic bodies and Johannes Keppler’s objects from which Paul Schatz deduced and derived the concept of the inversion of space. Besides, the Foundation is the custodian of documentation on additional objects that are yet to be built. The exhibition leads the beholder by way of the beauty and mobility of geometric bodies to a more profound contemplation of the puzzle of space. Today’s studies of currently active researchers are continually integrated into the exhibition. Researchers studying the topics Paul Schatz focused on and working to realize and continue these developments will be given a forum at Foundation and Society conventions and publications in which to present their ideas. Paul Schatz has accomplished a lot of new things – above all in the ﬁeld of technology and science and, in particular, in the ﬁeld of mathematics and geometry. Some of these things only exist as suggestions and proposals, as a fragment or not yet statistically proven research result. In particular on the topic of treating potable water and turning it into a high-quality food and remedy, there is a high demand as to research as yet. Interesting studies focus on imaging methods (images of droplet formation, rising water columns, and crystallization, etc. ).